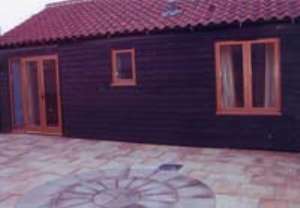 Penny Wagtail, sleeps four, level access throughout with wet room, parking close to door. Wren's Rest sleeps two, vaulted ceiling, oak floors. Owls Barn sleeps six, reached via outside stairs, heavily beamed, double/twin bunk bed rooms. On farm walks along river bure.